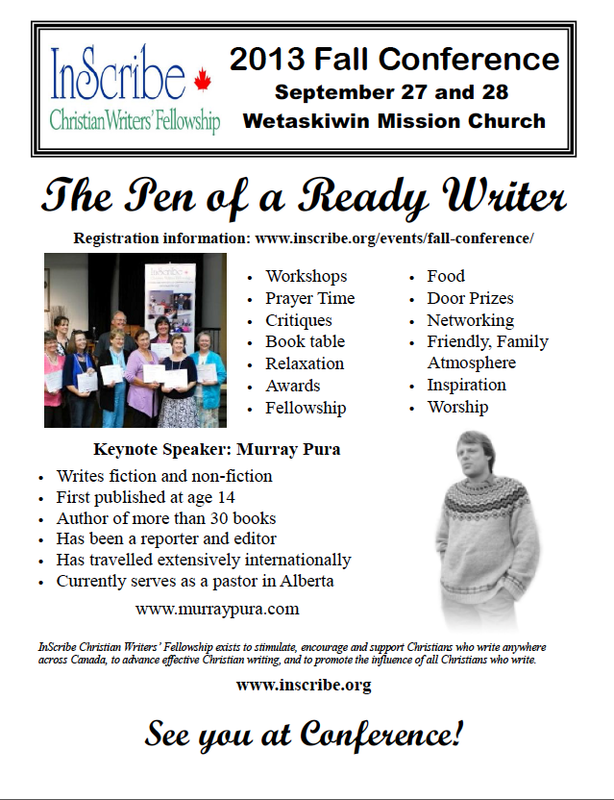 Inscribe Fall Conference – I’ll be there! I’m excited to share the poster for the Inscribe Fall Conference. It still seems eons away but September 27 & 28th will be here before we know it! Description: Explore what contemporary Christian poets are writing. In this 90-minute workshop we’ll look at poems and collections by contemporary Christian poets to discover: 1) the things they write about; 2) the poetic techniques they use; and 3) the sorts of books they assemble. The goal of this session is to send poets on their way with a fuller kit of poetic tools, ideas for individual poems, and inspiration for possible collections. Come prepared with one of your own poems to share during a short reading time at the end of the session (participation in the reading is optional). There will be poetry book giveaways! You can also read about other workshops being offered at the link above. Find out more about the conference, a writing contest you can enter, accommodations in the Wetaskiwin area and how to register HERE.